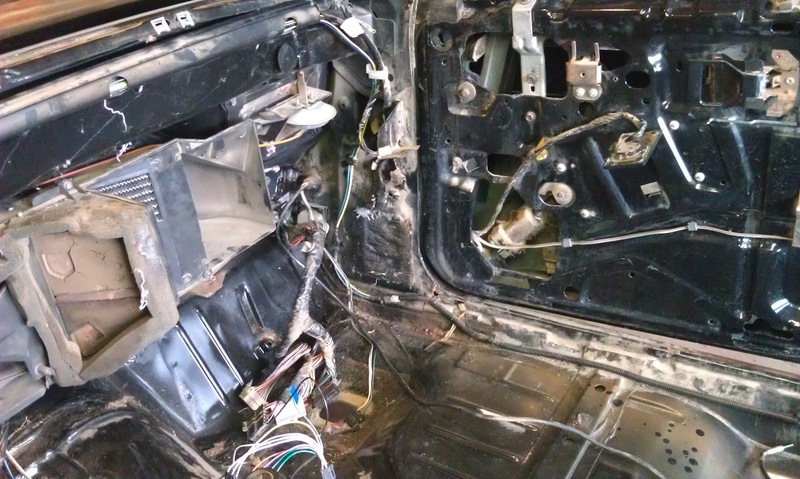 This last weekend I removed the firewall. 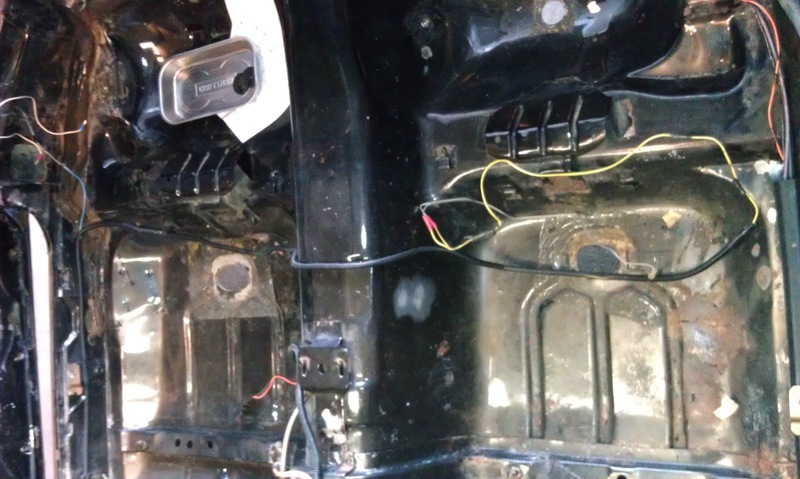 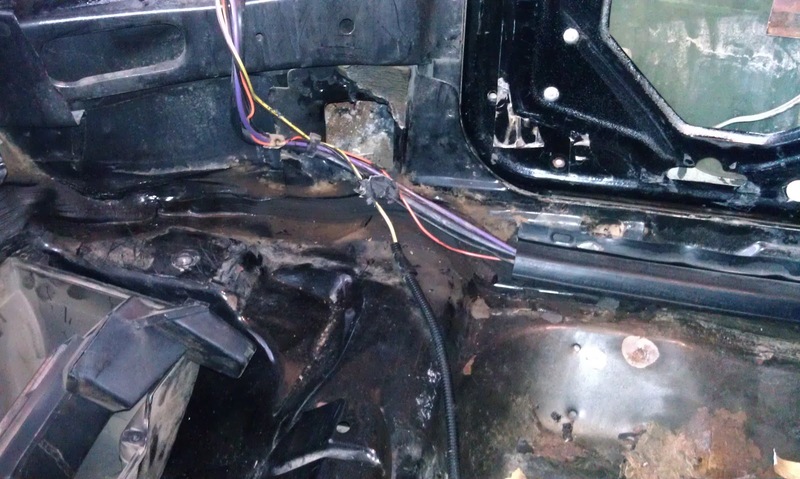 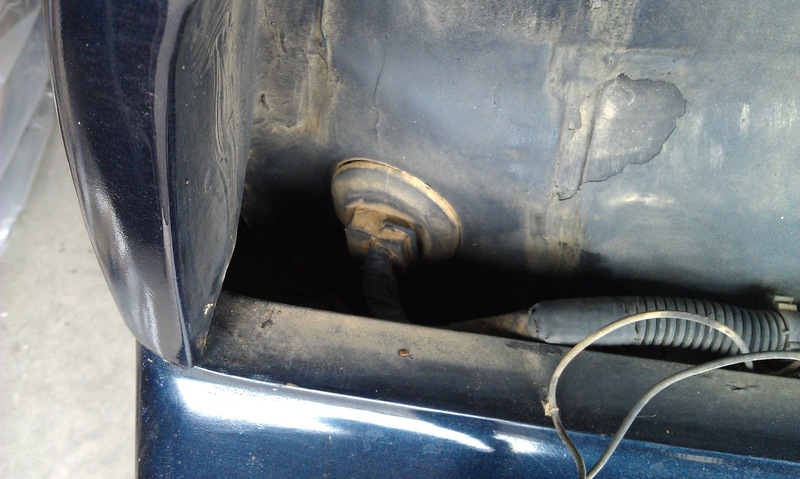 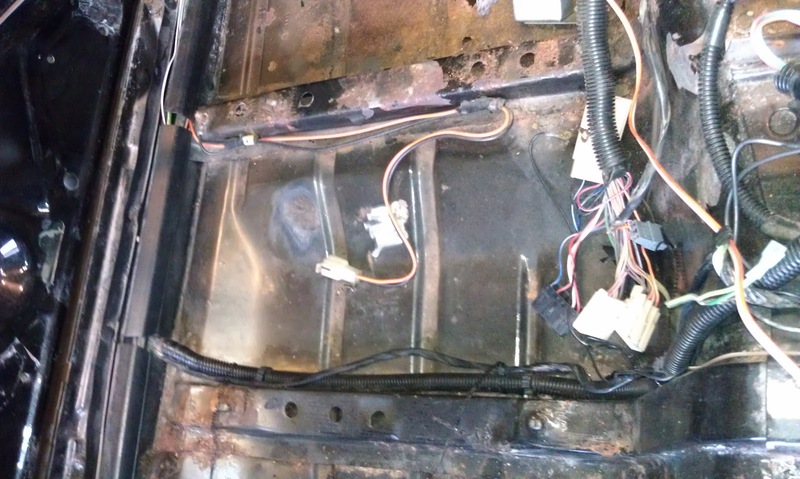 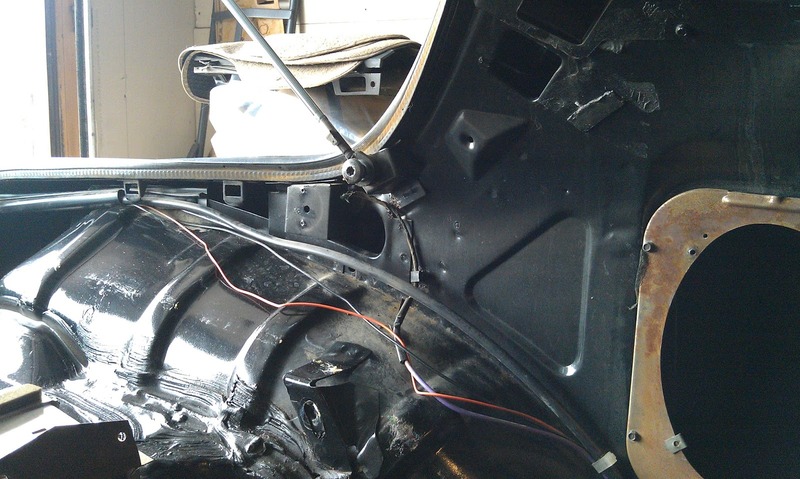 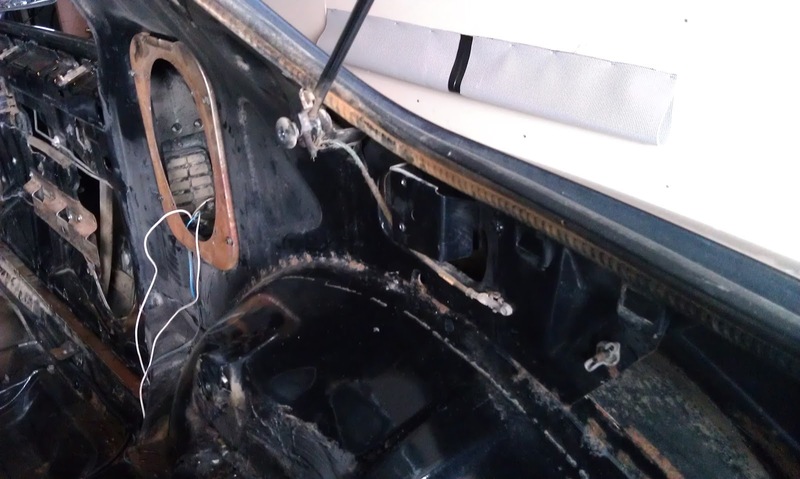 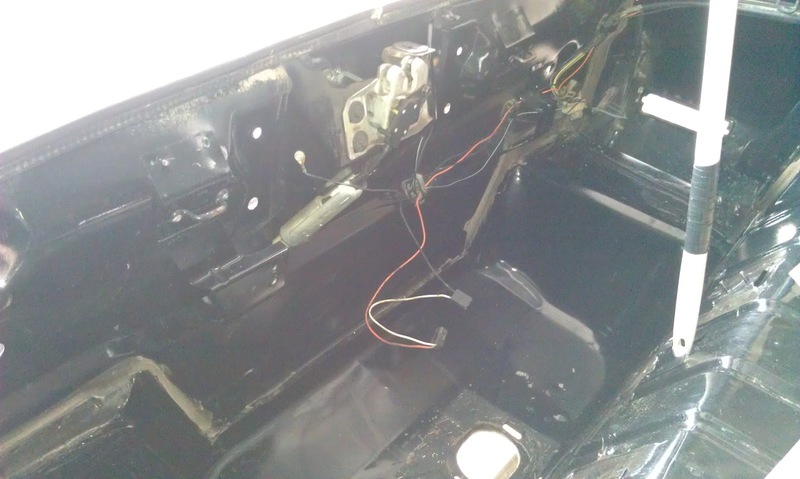 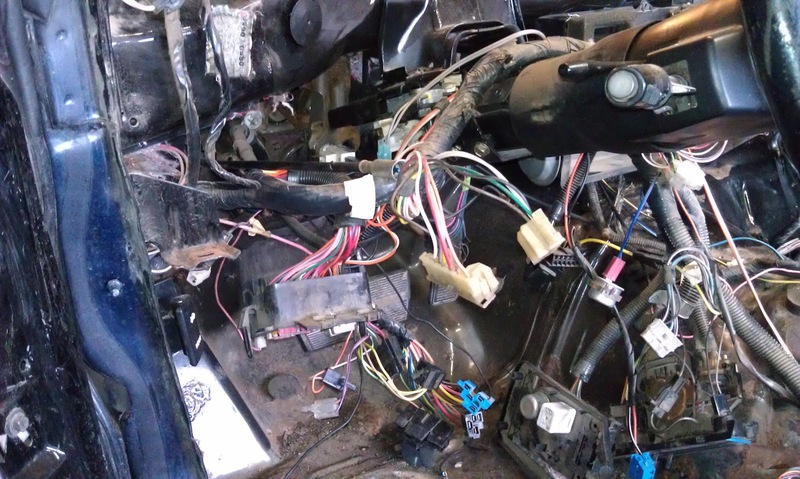 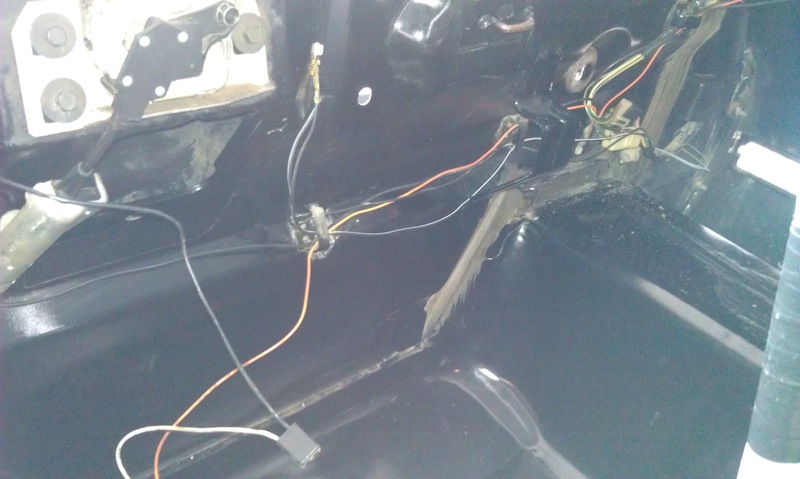 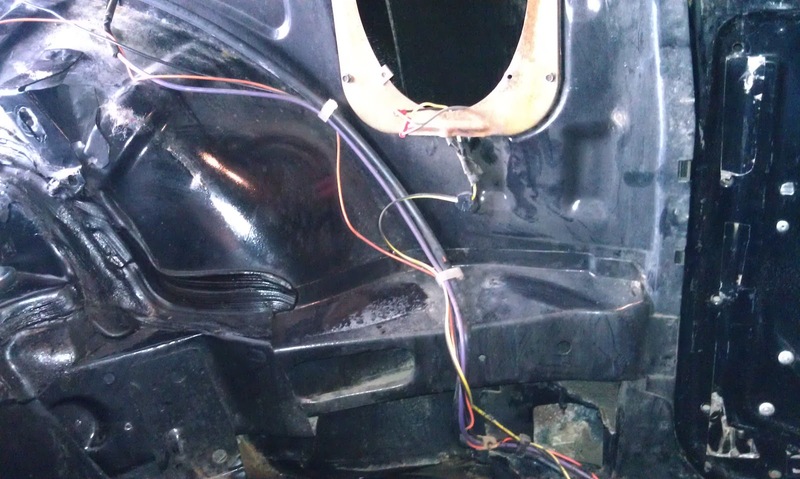 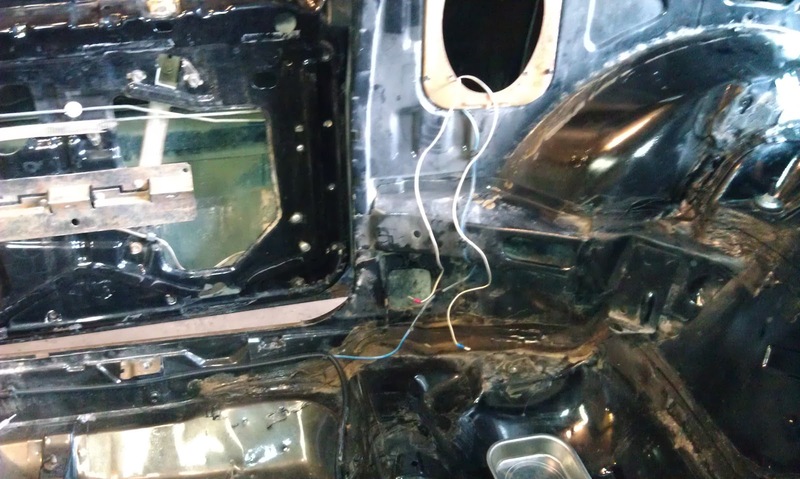 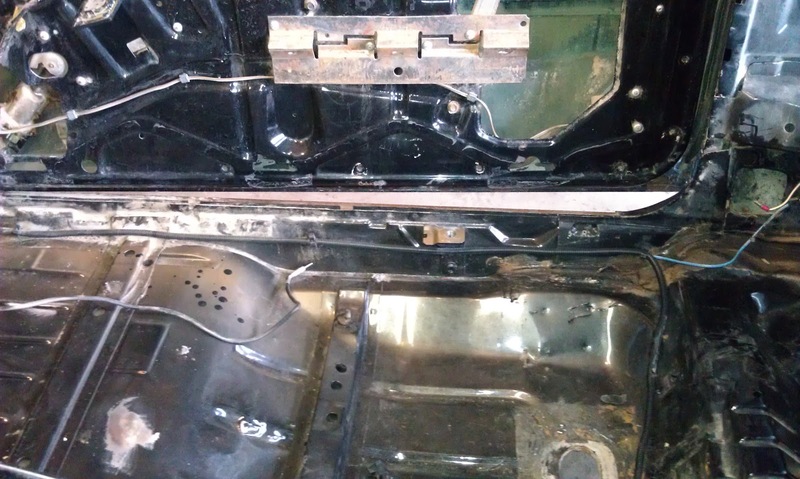 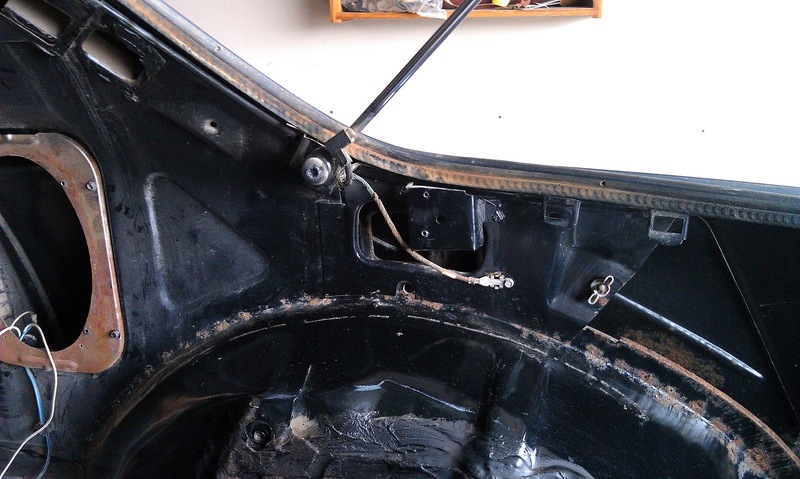 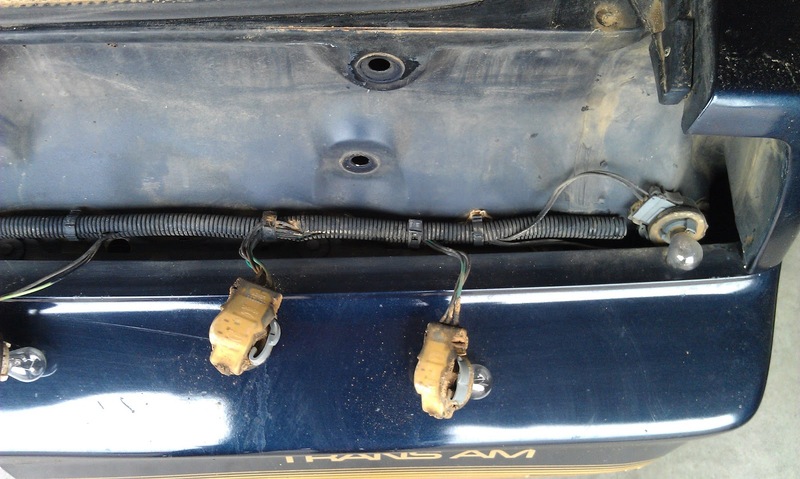 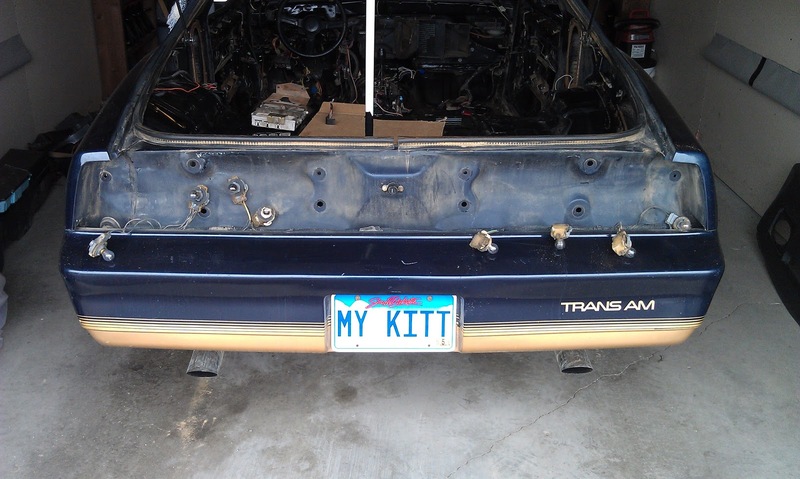 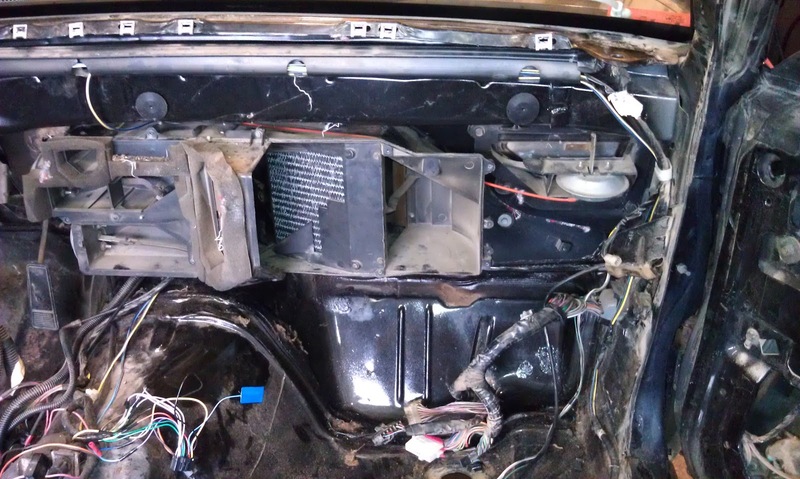 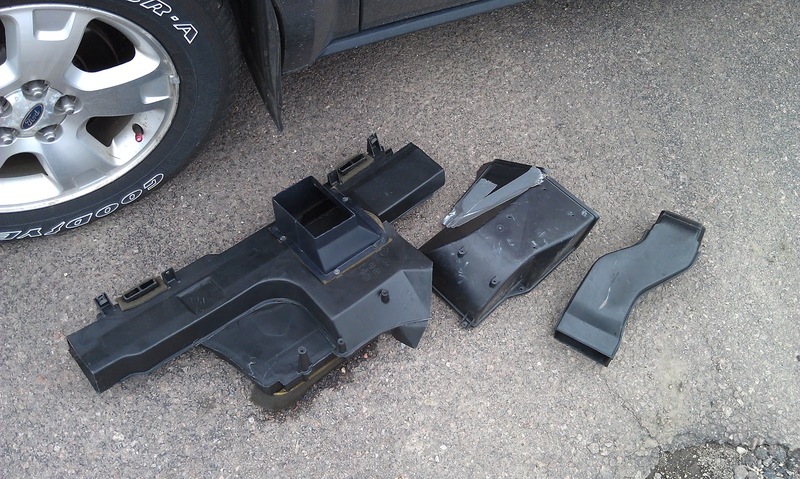 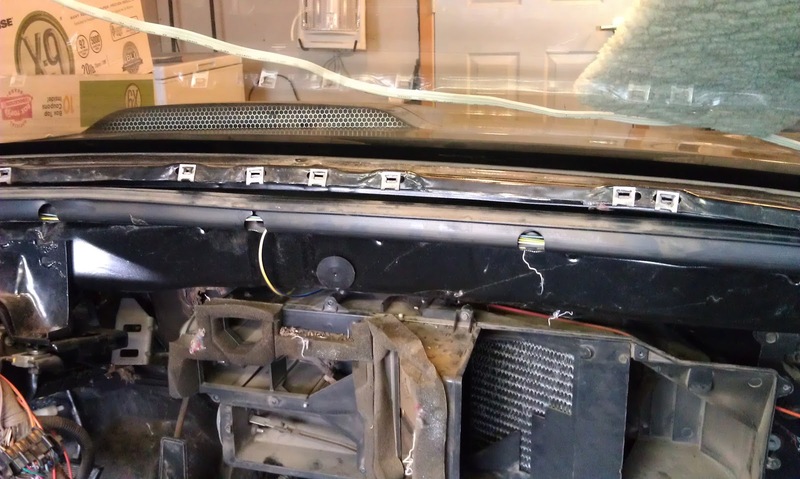 I worked on removing the wiring harness starting with the taillight harness and moving forward. 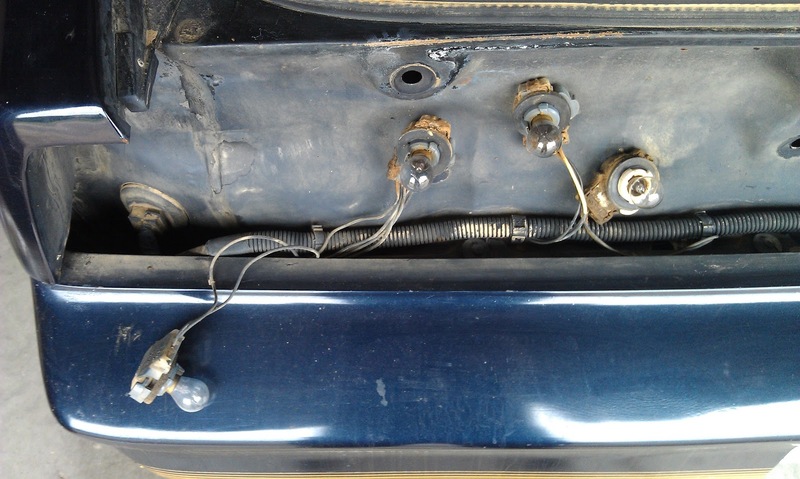 So far I have been lucky and have not broken any of the plugs or clips. 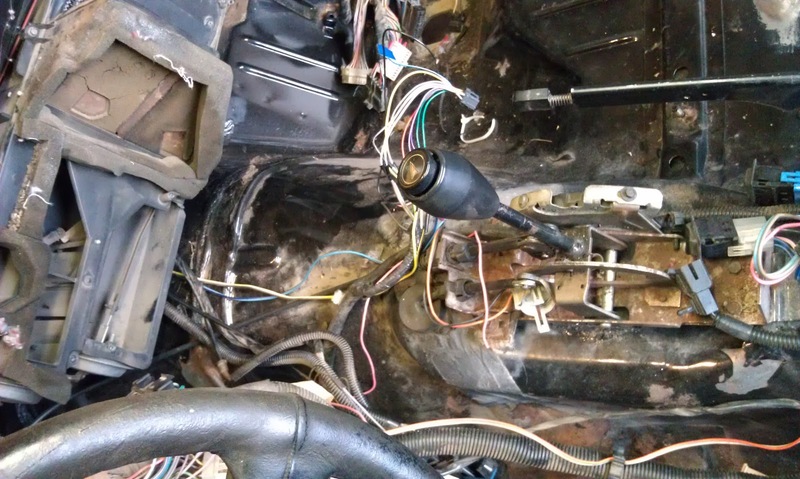 With 30-year-old wiring everything is very fragile, however for the most part what I have examined so far looks to be in really great shape. 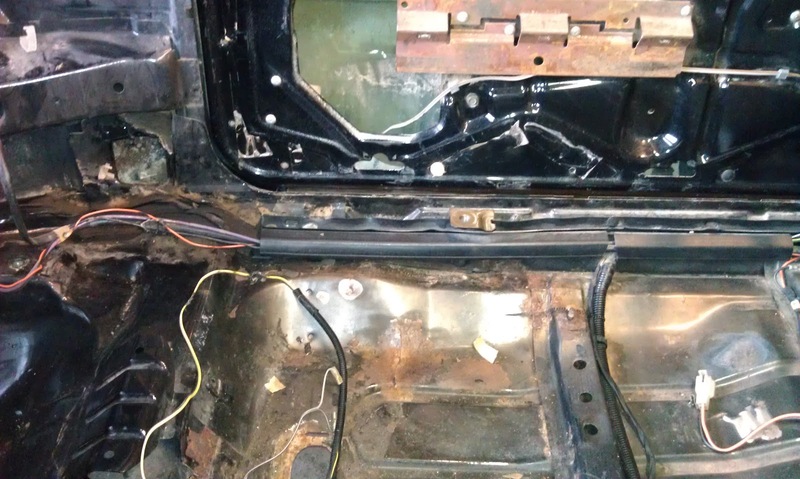 I have decided to leave the clips in place on the frame for fear of breaking them as long as they will not interfere with the restoration of the interior. 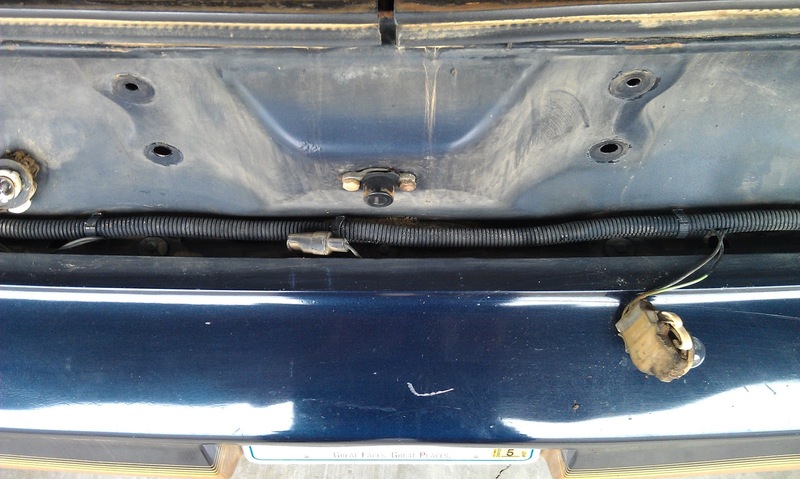 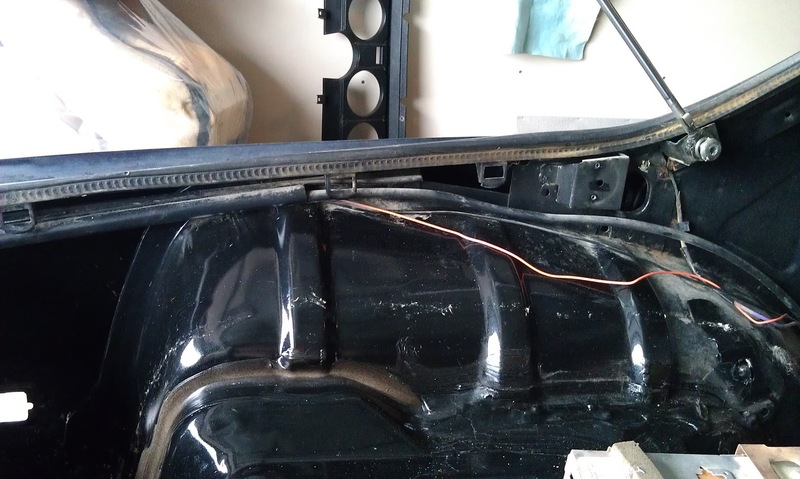 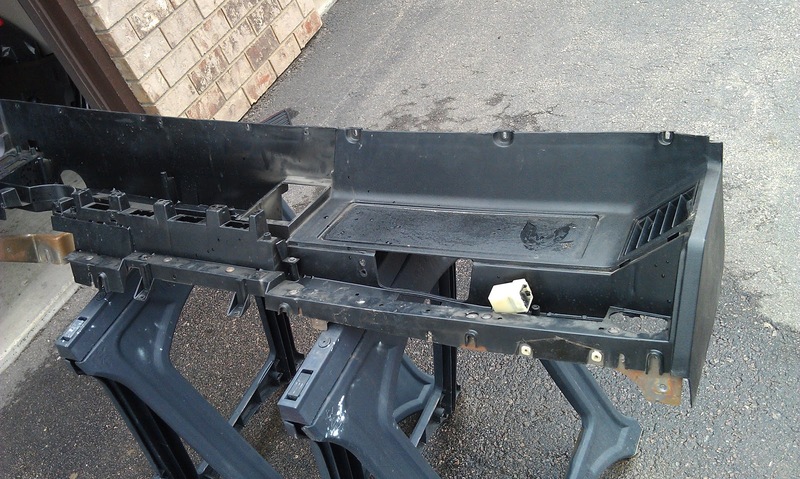 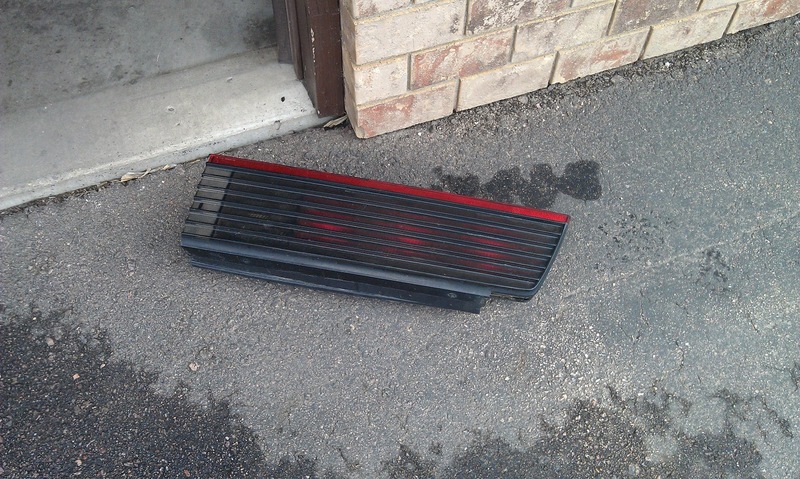 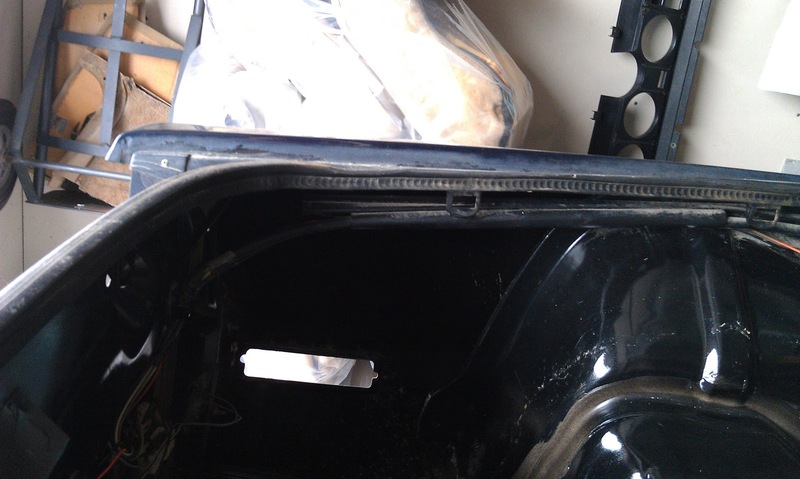 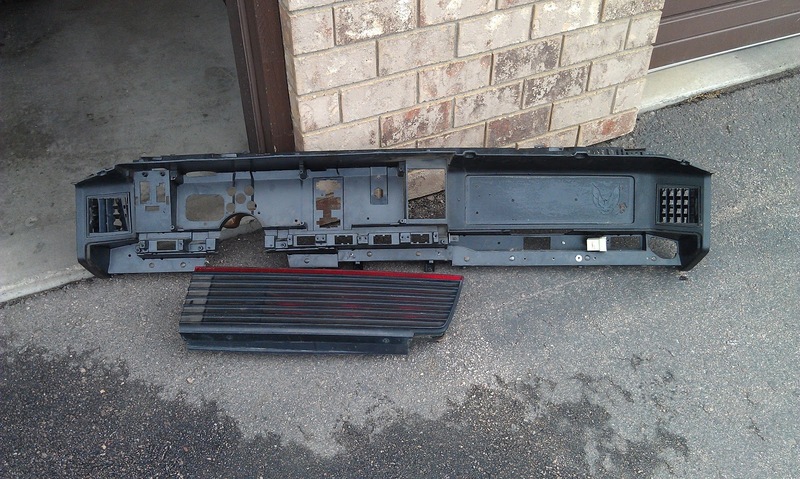 So far I have up to the rear speaker underbody loom removed. 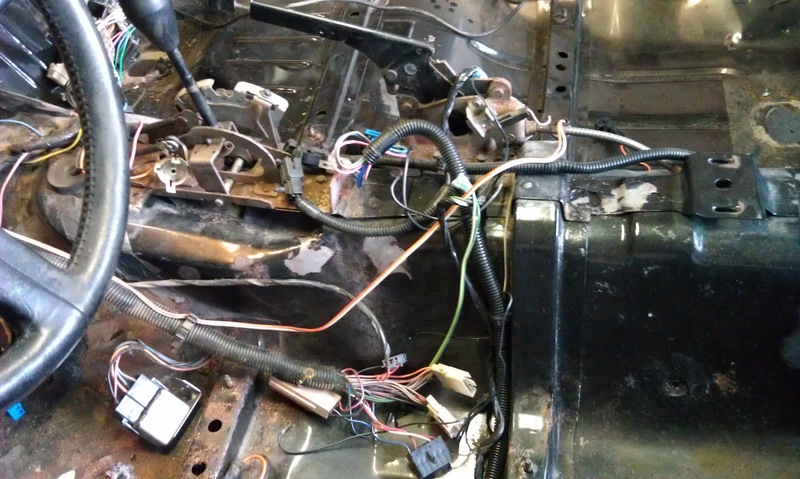 I took pictures of the wiring before I removed each section so I have it as a reference. 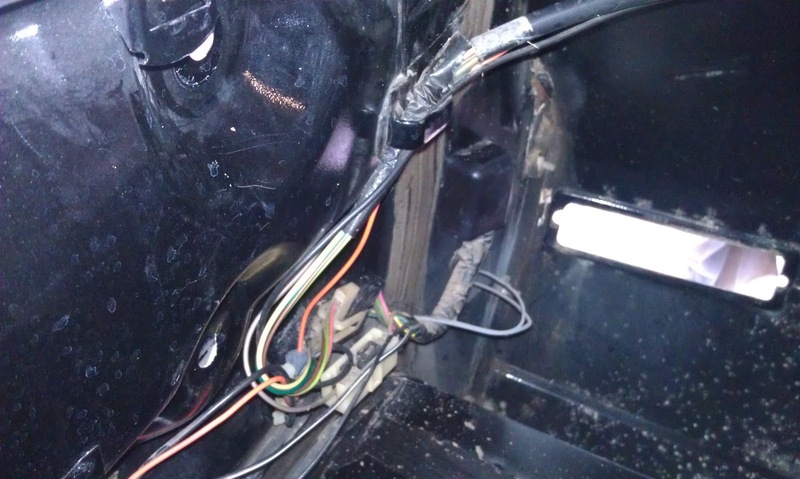 You can see in the pictures below that the firewall is out now too. 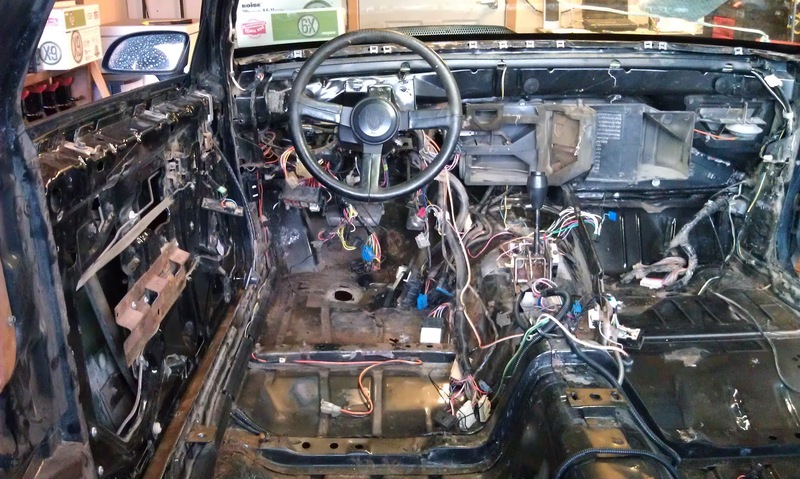 Once I get all of the wiring out or at least out of the way I will be putting up a video of the inside prior to starting on the floor. 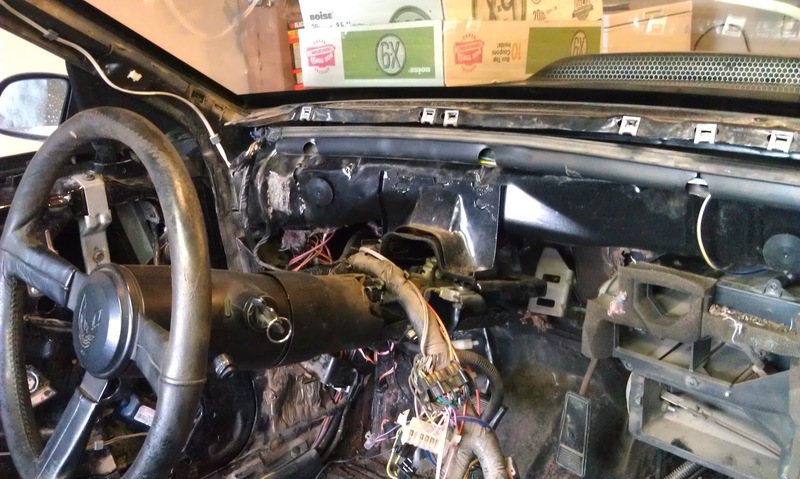 While I worked on the wiring Sara was busy cleaning up the taillights and various dash pieces that we removed the previous week. 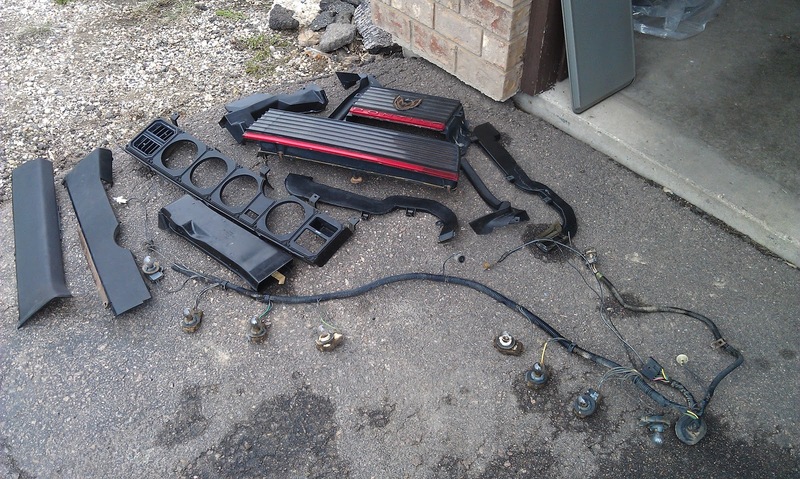 She used both the air compressor and an all-purpose cleaner to clean up the pieces for storing until it is time to install them again. 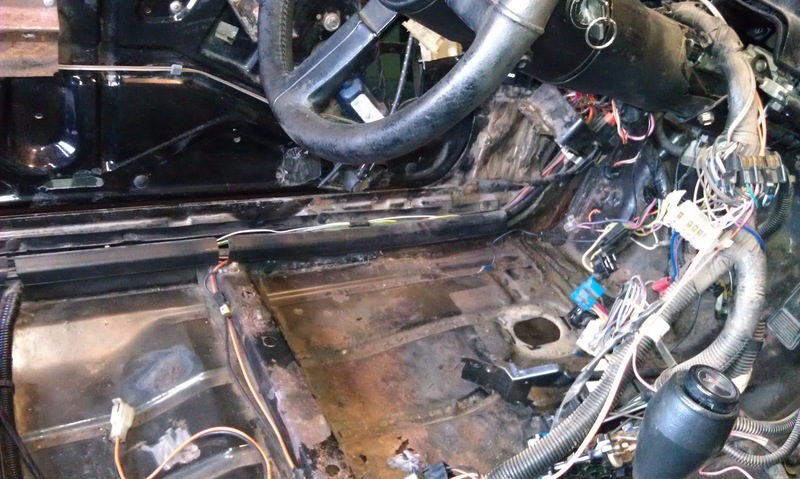 With all the years of dirt that has accumulated on this car, cleaning them requires multiple treatments and a lot of time and persistence.